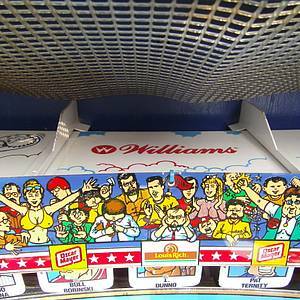 Technically not a pinball machine, but with many parts making it look like one (including a pinball machine-like body and a dot matrix display), Slugfest was built by Williams in 1991. 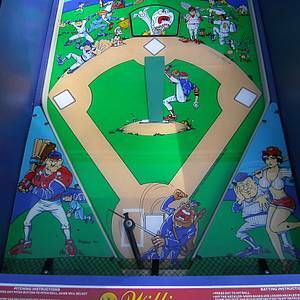 The game most closely resembles a pitch and bat machine and features a single bat ('flipper') and a single ramp. 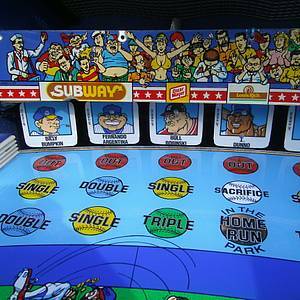 The game features a baseball card dispenser and seems targeted mostly towards kids. 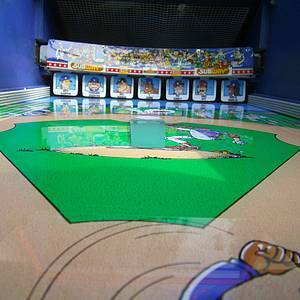 On September 18, 2011 this game generated quite some discussion on the Pinside for entering our Pinball Top 100 on position #18. 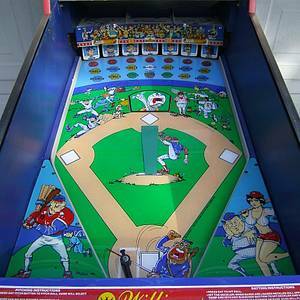 It turns out this machine should not be on Pinside.com as it has no flipper (a requirement for machines to be in the Pinside archive). We have decided for now to keep the game in the archive as several of our members list it in their collection. We might change this decision later. 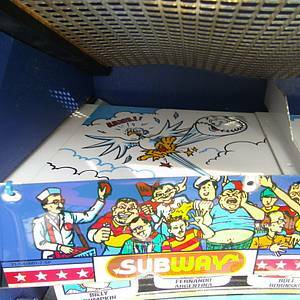 Manufactured by Williams Electronic Games, Inc. 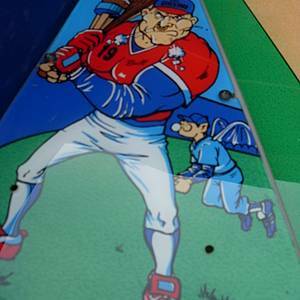 This game has received 61 approved Pinsider ratings and currently has a rating of 7.702 out of 10. 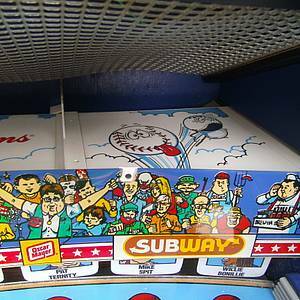 This game ranks #106 in the Pinside Pinball Top 100. There are 38 rating comments for this game. 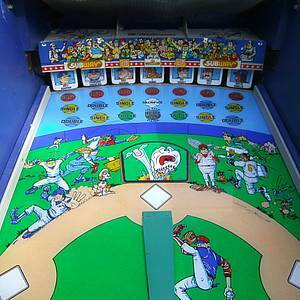 215 Pinsiders have this game in their collections. 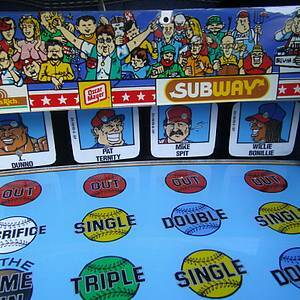 58 Pinsiders have this game on their wishlist. 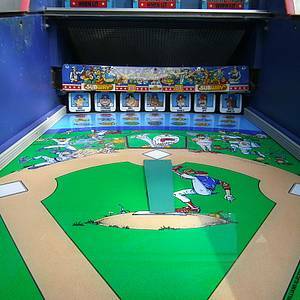 58 public locations known where you can play this machine. 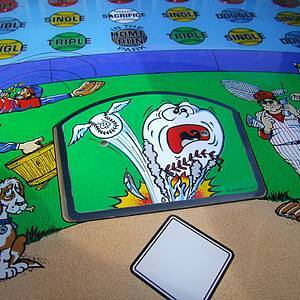 Slugfest Club - Back, back, back… Gone!